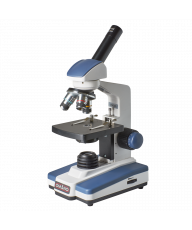 The Omano OM339P is our best selling polarizing microscope and for good reason. It is professional grade, high quality and suitable for a wide range of applications that require polarized observation. 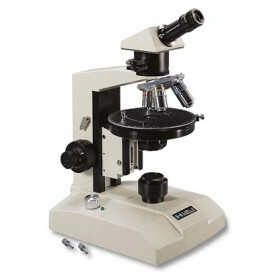 The OM339P combines excellent plan optics with durable, heavy-duty physical design. There are four plan objectives with 600x maximum magnification. 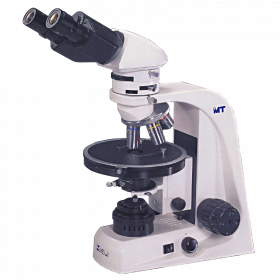 The microscope is well-suite for both laboratory and teaching applications. Lifetime Limited warranty. 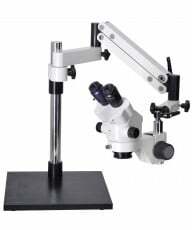 The microscope head is trinocular and includes a C/CS Mount adapter. There are two WF10x eyepieces plus a third WF10x eyepiece with included cross-linear reticle. 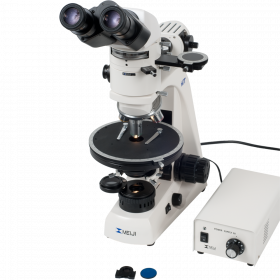 There is a quadruple nosepiece and four strain free POL planachromatic objective lenses: PL4x, PL10x, PL40x and PL60x for maximum magnification of 600x. 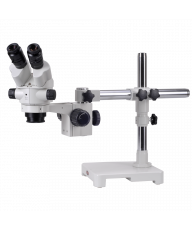 The lower polarizer is rotatable through 360° and scaled at 0,90,180 and 270 degrees. There is an impellant style Bertrand Lens that is center adjustable. 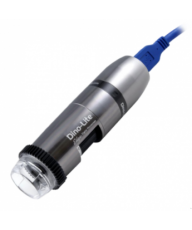 An integrated analyzer is adjustable and switchable between Normal/Polarizing. Compensators include a quartz wedge and full and quarter wavelengths. The mechanical stage is 150mm in diameter, rotatable through 360° and has 1 degree graduations. 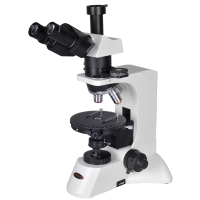 Focus is ambidextrous via convenient coaxial coarse and fine focusing knobs. The condenser is Abbe 1.25 N.A. 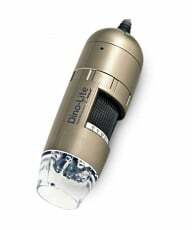 6V 20W transmitted illumination is powered by Universal voltage so the microscope can be used worldwide. Color equipment compensator accessories: gypsum, mica (1/4) and quartz wedge samples, dust cover, spare bulb, blue filter, 0.01 measure rule, manual. Shipping Wt. and dimensions: 21Lb. 16"x10"x21".